Jennifer is hands on, down to earth, knowledgeable and she made the process of buying a home a breeze! 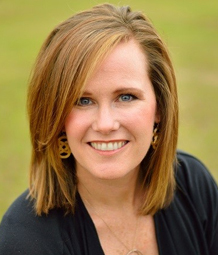 Jennifer Johnston has been in the mortgage business since 2001 and in her career has performed many processing and closing functions before jumping headfirst into the origination side. Originally from San Diego – Jennifer has lived in Montgomery, AL since 1996 so she understands what it is like to pull up roots and move across country and start over in a new area. Accessibility is key to Jennifer’s success for both realtors and customers and communication throughout the process is part of her 5 star service. Whether helping first time or move up buyers – she always brings the excitement and commitment of service to every transaction. Jennifer and her husband Michael have 5 children between them and their chocolate labs, Baylor and Tess, are always by their side. Their "happy place" is Lake Martin, Alabama where Jennifer loves to relax with a good book and spend time with family and friends. What to do (and not to do) during the mortgage process. Not sure where to expect? This will walk you through the basics of the buying process. Why is the Credit Karma credit score different than the lender's credit score? Click here to find out!